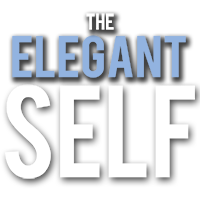 Enjoy your overview of what readers learn and gain in each chapter of The Elegant Self. The Elegant Self shows you how the presumption that the adult mind does not continue to increase in its ability to hold and manage complexity throughout adulthood creates the adult plateau. You will learn how the belief that adulthood is a single playing field where all adults, more or less, share the same capabilities in regulating energy and information flow is a major distortion with far reaching and dangerous consequences. Readers gain access to the three main dangers of the adult plateau. First you will discover how The Distortion of More is connected to the erosion of your own well-being. You learn how adult development requires you to consciously engage with your development or you will suffer the consequences of halting the growth of your mind. Readers also discover the two misguided compensations that create imbalance, wasted effort and an elusive sense of happiness with life. I also give you a potent recipe for how you, and likely others, misguidedly leverage the irresponsible use of power and the exploitation of relationships because they are living in the adult plateau. Learn how the Experience Distortion and Learning Distortion are impacting your life, likely right now. I show you how the Learning Distortion wastes your time, money and effort all too often in the realms of dieting, nutrition, weight management, professional development as well as many leadership and management trainings. Finally, you see how companies are bleeding billions of dollars each year in the mismanagement caused by the Experience Distortion. The Elegant Self shows you the difference between progress and development. See how you can secure both in your life. You learn how elegance is a function of refined adult developmental maturity and the responsible deployment of your larger resources as a human being. Furthermore, you learn the dangers of lower motives leveraging higher developmental capacities and the catastrophic consequences of this often unseen dynamic creates. As Chapter Two takes you inside the architecture of your mental development, you gain a greater understanding of the core processes of how you grow and mature. You also discover how to more accurately assess your own and other people’s development by learning to look into the “deep structures” in how meaning is created. Readers gain insight into the constructed nature of their worlds. This empowers the reader to begin to co-create the meaning his or her heart is genuinely searching for in life. You discover how you are actively shaping, constructing and forming a reality that fits within your developmental capability at any given moment. Yes! It is even happening right now as you read this sentence in both visible and invisible ways. The Elegant Self opens your eyes. As readers tour the most prominent stages of adult development, I show you how mental development has the power to change every facet of your life. No, this is not an exaggeration attempting to market to the less discerning adult. Rather, this is a developmental fact. As readers discover the four domains of transformation: identity, location, substance and functionality they begin to understand the power of mental development. I show you 3 central struggles often found, and perhaps central to, your development beyond autonomy. You will learn how to leverage loneliness, a healthy suspicion of wholeness and what I call "the opposition inside of polarity" to accelerate your development. You will learn the birthplace of elegance is within what I call an interpenetrating subjectivity that is embedded in an ongoing relational flux with everything. This is surely something you do not want to miss. This new subjectivity allows you to discover forms of intimacy that nourishes you in a new ways. I show you that instead of presupposing a self that is distinct from this moment, which then attempts to make intimate contact with another, you can cultivate a self that discovers its truth and identity in response to and in relationship with an ongoing interpenetrating experiential flux. While this may not make complete sense to you yet, it will. By the end of chapter three, you learn how this new subjectivity yields much more contact with immediacy. Key takeaways are a new level of attunement enabling greater creativity and a refreshing embrace of conflict. I show you 4 guidelines to transform your relationship to conflict so the dissonance in your life and relationships can more efficiently grow you, not merely frustrate you. You also learn three different developmental approaches to conflict, which will help you assess both your own functioning as well as other people’s developmental relationship to conflict. Chapter three also opens readers eyes to see how autonomy stunts creativity, in some ways dramatically. I show you how to save thousands of dollars on psychotherapy, coaching and/or personal and professional trainings of many types. The Elegant Self teaches you the difference between biographical inadequacy and the ontological origin of inadequacy. If you are trying to resolve feeling inadequate (knowingly or unknowingly), either through professional trainings and/or psychotherapy, this chapter is likely to be especially powerful for you. Readers also gain insight into the inherent mediocrity of the autonomous self and I show you two powerful ways you can go beyond these limitations. Through a careful investigation of courage and surrender you learn skills and confidence to step into your greatness. As I share part of my personal journey with you, I show how growth and development can be a betrayal to your larger maturity. You discover how the unexamined drive to become more whole and complete, called the completion project, is a major hindrance to growth beyond autonomy. Chapter 5 unpacks a pervasive habit that is likely governing you. Although you like to pretend to be in the drivers seat, I show you a time-tested and highly researched path forward into your mental development. Readers learn how the completion project is organized around one core experience: incompleteness. I show you two main reasons why you must outgrow your completeness project(s). The first is the risk of what I call a “stagnant lifestyles” where mediocrity settles into your habits and life takes on a routine quality of maintaining the status quo. Decades of hard earned developmental capacity largely become a servant to whatever comfortable lifestyle you have settled for. Secondly your larger ability to perform and influence yourself, others and our world require you growing a self that is larger than the polarity of completeness and incompleteness. Chapter six gives you a powerful roadmap to do just this. Along the way I show you what higher stages of adult development look like and how they are in many cases required in the professional setting. Buckle up! I show you how both completeness and incompleteness are at the core of who you are. However, readers learn that there are two different tastes of, or two different types of completeness. You learn the two facets of subjectivity and how one is a gateway into the second taste of completeness. You understand how confusing these two tastes of completeness has negative consequences for your well-being as well as the well-being of the world you live in. I show readers how the second taste of completeness is the subjective ground of who you are. Chapter 7 shows you the unchanging, untouchable and unconditioned "part" of you. Readers gain insight into two different selves and how they can, and are wise to, relate and function together: the self-as-form and the self-without-form. A key takeaway is that elegance as you retains an open fluidity between these two selves. Discover how this self-without-form is a form of freedom from the world of form, yet it is not like many forms of spirituality and religion where the aim and purpose is to transcend the world. Instead, I show you how elegance leverages the self-without-form to engage yourself, life and our world more. Plus, I show you how to get an "insurance policy" of sorts which helps you weather the storms of life more elegantly. I close this chapter by giving readers two powerful practices to implement, which, enables them to sign onto an insurance plan that yields immense support. I show you the biggest problem of the pre-dialectical self and how elegance involves the fluid embrace of and participation with polarities, which requires a self that is larger than polarities. You learn how this is your dialectical self. Readers gain three central principles for the dialectical self while I also show you what I call "liberated dialectics" which teach you how to participate with your larger self. Discover three powerful ways you are hardwired to be dialectical. Readers also take away a three steps process for integrating polarities for developing your mind and body alike. This tour of the dialectical self walks you through thirteen core dialectics you are likely to be working with and worked by in your personal and professional life. Yep, I did say 13. This is just to get you started though, as you expand into your dialectical self more and more will reveal themselves to you. Readers discover a new body of research into their own ego development beyond autonomy. This gives us another perspective on the highest reaches of adult development and highlights essential features of elegance. I show you the four defining features of the the first stage of what is known as post-autonomous ego development. Readers gain insight into how conflict with their own automatic mental processes can be leveraged for greater maturity. Once again, conflict proves to be essential, not something to be avoided. The Elegant Self shows you the necessity and the pleasure for both the suspension of and then deconstruction of habits of all types. You learn about the architecture of the present moment showing you the two basic features of immediacy. A key take away is that adults must exert skillful effort to participate with both features with greater effectiveness. As part of this exploration, you learn the two features of creative novelty that you must embody and participate with to know your greater influence in the world. This chapter closes with three powerful exercises to help you grow in your ability to both suspend and then deconstruct habits that inhibit the vitality, purpose and reward elegance as you is capable of creating. Readers also learn a helpful analogy, what I call “navigating the airplane,” to help them rapidly integrate these higher stages of development into their understanding. But wait, I am not going to stop there! I show you a 3-step process for re-claiming your habits in new ways. That's right, some of the habits of your past can be integrated into your elegance moving forward. Freedom from limiting habits is the easier work. Reintegrating habits as a function of freedom - that's the "honors curriculum" chapter 10 guides you into. Readers learn about what I call, “the architecture of defense” which gives them greater confidence for facing some of the most challenging facets of human experience. You will gain insight into some of your core survival strategies and how to be skillful with these immensely habituated forms of behaving in the face of stress. Ultimately, you learn to be truly you, to be unabashedly and uniquely you, elegance requires the synthesis of that which is, in the end, genuinely free from habituation with the inclusion of your conditioning. This is what I call the "re-alignment of habit." A key takeaway is how automated struggle can be re-claimed and re-inhabited such that it no longer draws you out of contact with the broader territory of your life and instead becomes an instrument for knowing self, other and world. Reader’s discover a second powerful analogy helping them to integrate some of the highest known forms of mental complexity. And I tell show you how this type of adult functioning is no luxury option that is simply nice to have. Readers close this book knowing that our survival demands it. Get your copy today. There is perhaps nothing more significant than cultivating your elegance right now. You need it. Your family needs it. Your community requires it. Our world is starving for more elegance. with over 3 hours of additional audio commentary. 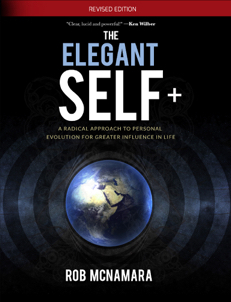 "informative, practical, and immensely helpful… Elegant Self should be part of your toolbox."